Goodyear has revealed a prototype intelligent tyre that uses sensors and cloud-based algorithms to communicate with fleet operators via an app. 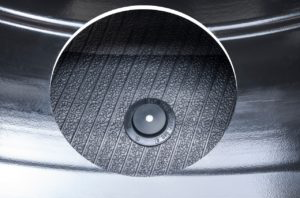 The tyre is fitted with sensors that gather data and is combined with data from the vehicle itself and third-party information, which is then fed into Goodyear’s algorithms. Information on tyre status including wear, temperature and pressure is continuously updated and shared with fleet operators. This provides a continuous stream of data sharing and ensures tyres remain in optimum condition, reducing downtime and maximising cost efficiency. Goodyear’s statistics suggest shared mobility is expected to rise from 4 percent of global kilometres travelled in 2015 to over 25 percent by 2030. “As shared mobility continues to grow in popularity, we are seeing applications where kilometres driven per vehicle will increase substantially in the years ahead,” said Chris Delaney, President of Goodyear Europe, Middle East and Africa. “For shared fleet operators, proactively managing tire service issues is critical to both the customer experience and the business model.